Gas prices have hit a four-year high in the U.S. Fueled by increasingly expensive oil, the cost of gasoline has been steadily increasing in recent years. In May 2018, the price of premium gasoline averaged 50 cents higher than regular gasoline in 2017. “It also affects my ability to give raises to my staff,” the small business owner added. 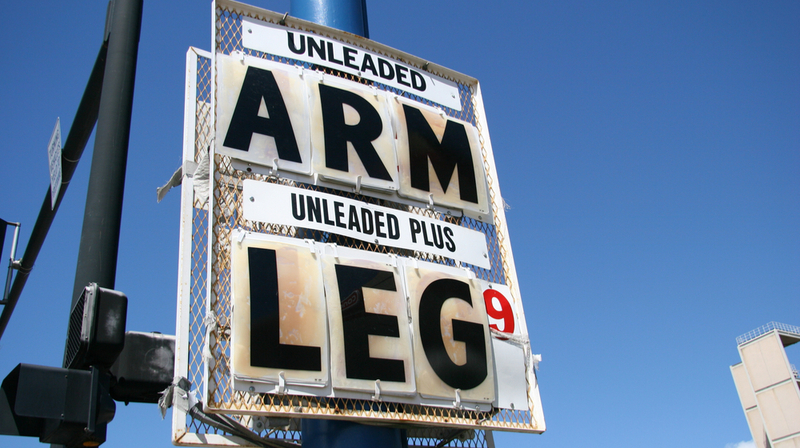 If rising gas prices are negatively impacting your small business, take a look at the following ten ways your small business can ‘fight back’ and save money when gas prices are high. According to the U.S. Environmental Protection Agency (EPA), driving aggressively and erratically can lower gas economy by up to 33% at highway speeds and by 5% on urban streets. By informing drivers of the pitfalls of aggressive driving and promoting sensible driving will help your business make vital savings on gas consumption. The EPA also notes the importance of tire inflation in vehicle inspection programs. The simple task of keeping the tires of a company vehicle inflated to its proper pressure can improve gas economy by up to 3.3%. If your business operates a number of vehicles, this can equate to a significant sum of money. The solution is simple – keep tire pressure on business fleets at optimum levels. Are your drivers using the most efficient routes to deliver goods and conduct business? The shortest routes don’t always equate to the most efficient in terms of fuel consumption, particularly if the route is through an urban area and involves a lot of stop-starting. Taking the time plan efficient routes can be an effective way to save on gas consumption and thereby save money on this business expense. There’s numerous apps available to help you plan the most efficient routes, such as Speedy Route, an app for optimized driving directions for delivery route planning. A car is at its least efficient when it is going nowhere. Being stuck in heavy traffic or at traffic lights will mean your drivers burn more gas, costing you more during a time when gas prices are high. Encouraging drivers to use traffic alerts such as on local radio stations or via traffic notification apps, will help avoid the curse of ‘going nowhere’ gas consumption. As well as keeping tire pressure at its optimum, you should maintain your fleets regularly, as poorly-tuned engines, and clogged air filters will hinder the fuel economy of your vehicles. The heavier a vehicle is, the more gas it will burn. Ask drivers to get into the habit of only carrying the payload they need to carry and remove surplus tools, equipment and parts to reduce weight and improve gas economy. Utilizing the cruise control function on company fleets will mean you save on gas as the feature keeps a vehicle moving without the driver having to step on the gas pedal, which consumes gas. Cruise control also creates safer driving conditions, including reducing fatigue of the driver. Incorrectly aligned wheels put unnecessary drag on a car, which, in turn, reduces its gas efficiency, meaning your gas bills will be higher. Simply by checking your fleets’ wheels are properly aligned will help improve the gas efficiency of your business. Switching to an electric fleet comes with a myriad of business benefits and none more so than significantly lowering running costs. Statistics show that powering an electric vehicle can be up to 90% less expensive than powering conventional combustion car engines. It may sound obvious but how many times do we use gas stations with more expensive fuel, purely out of convenience? Taking the time to identity and locate gas stations that offer gas at lower prices, is a sure-fire way to help your business make savings on this inescapable expense.